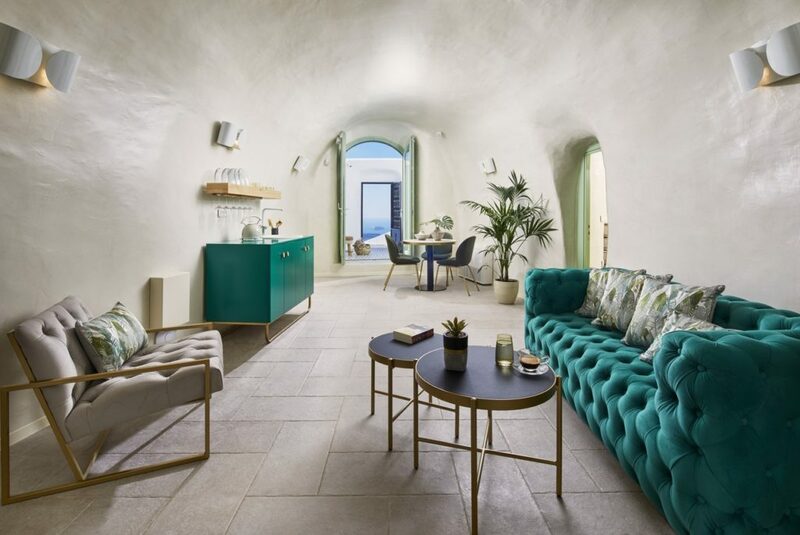 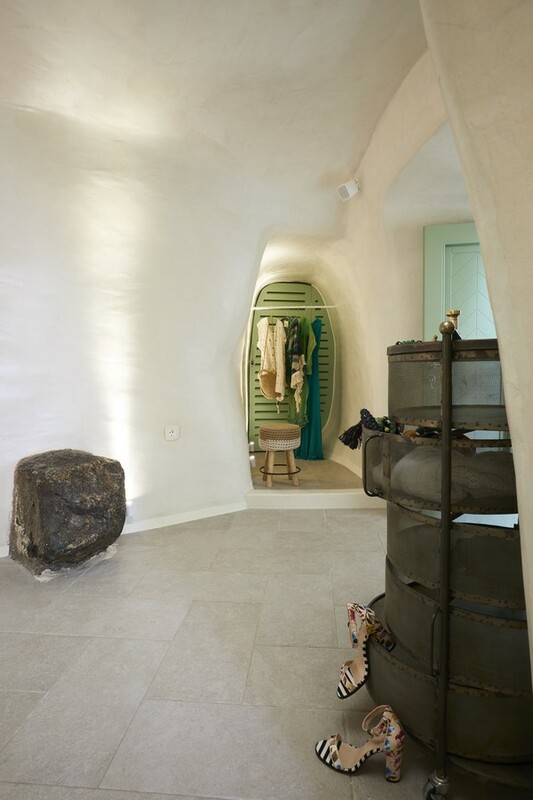 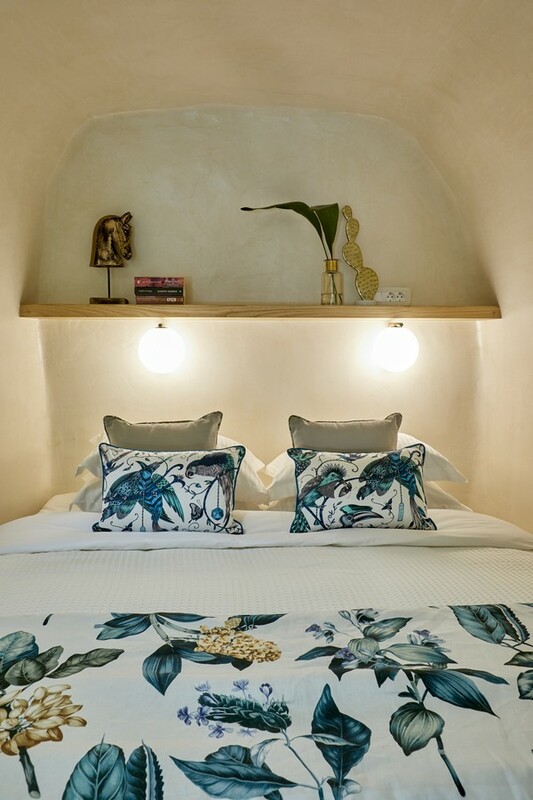 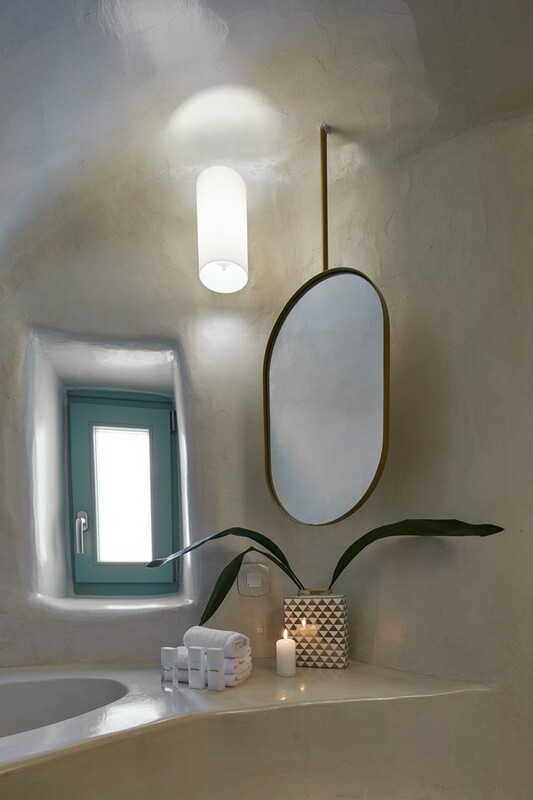 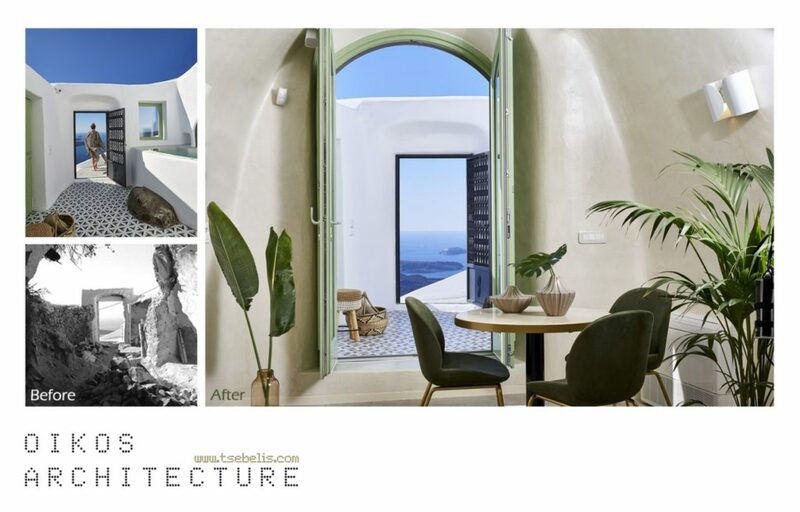 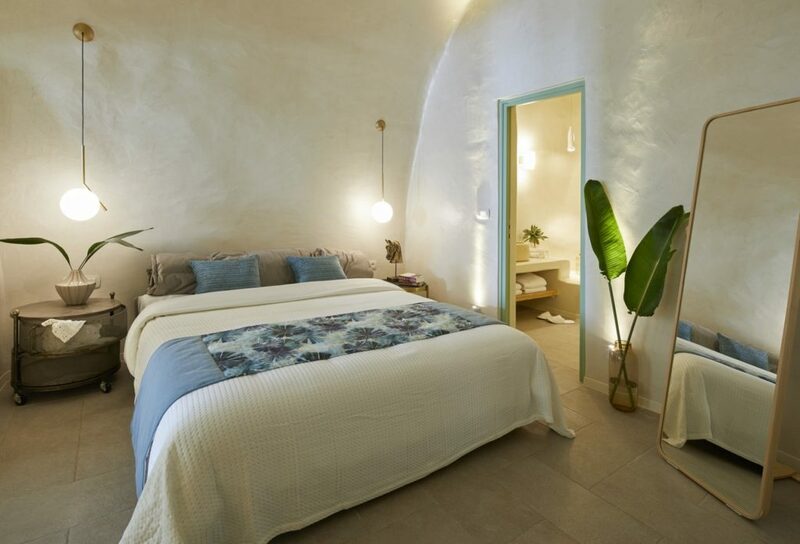 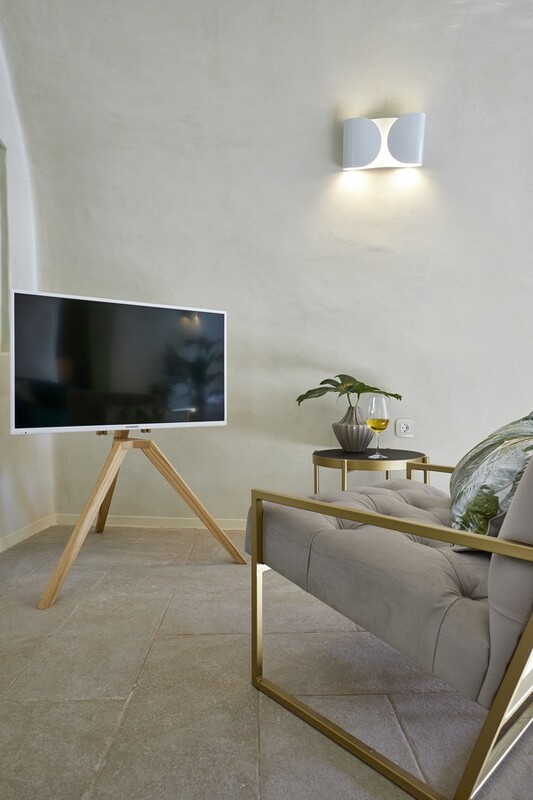 Located on the magical cliffs of Imerovigli village, it’s a sample of how a simple cave house can be an exclusive place that rewards the contemporary Cycladic architecture. 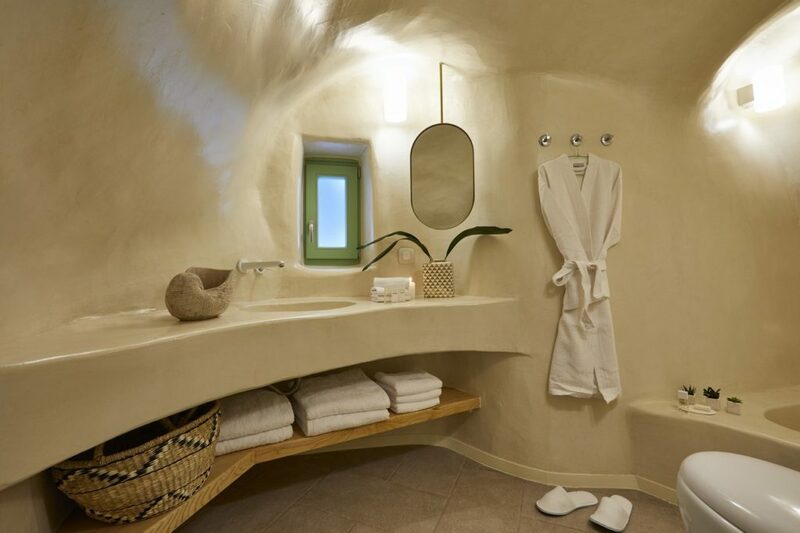 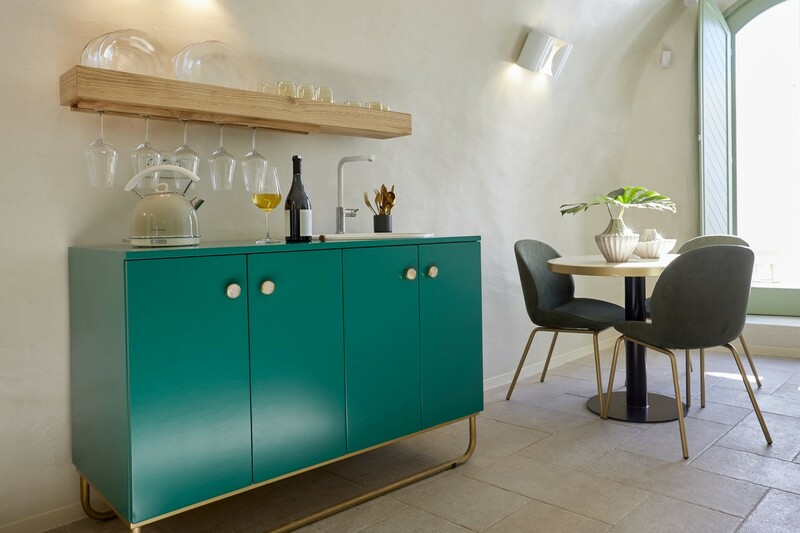 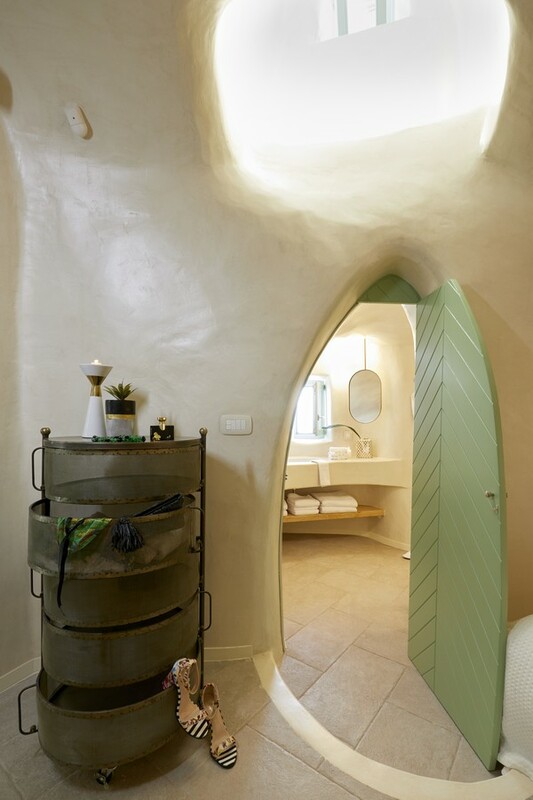 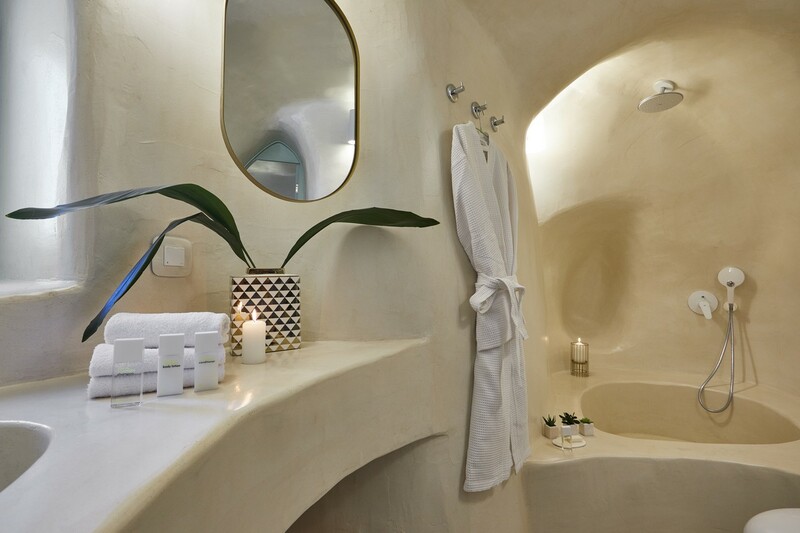 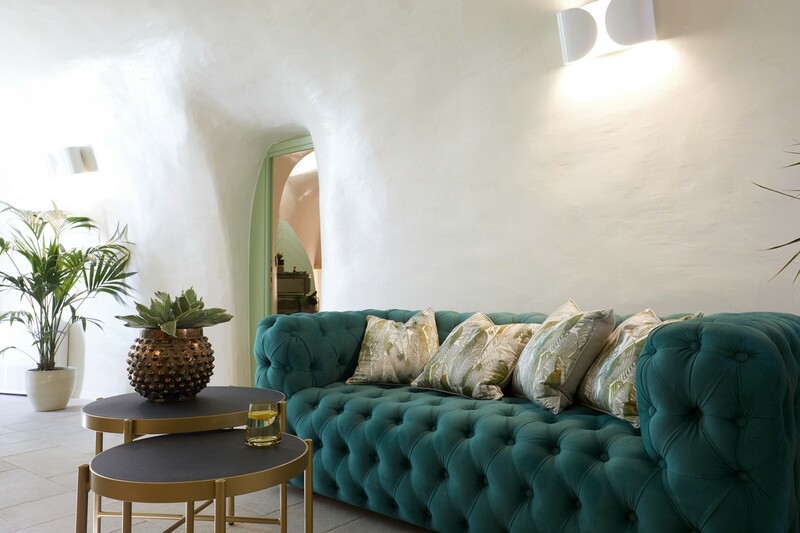 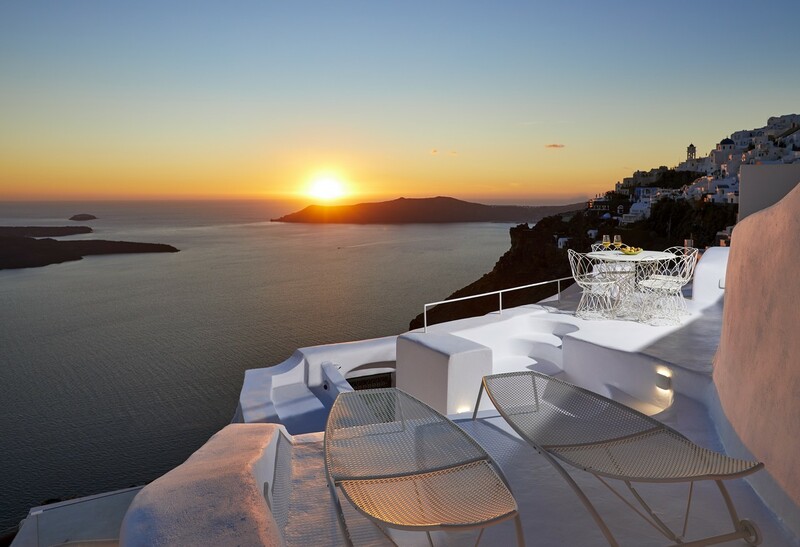 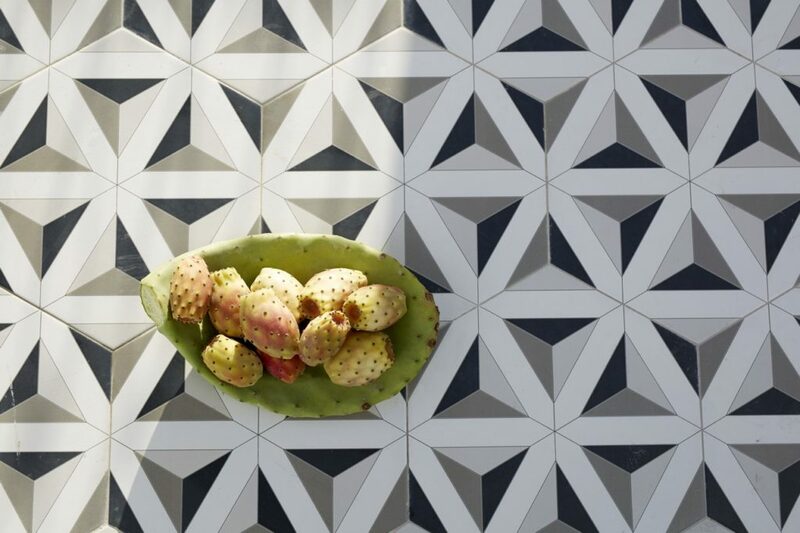 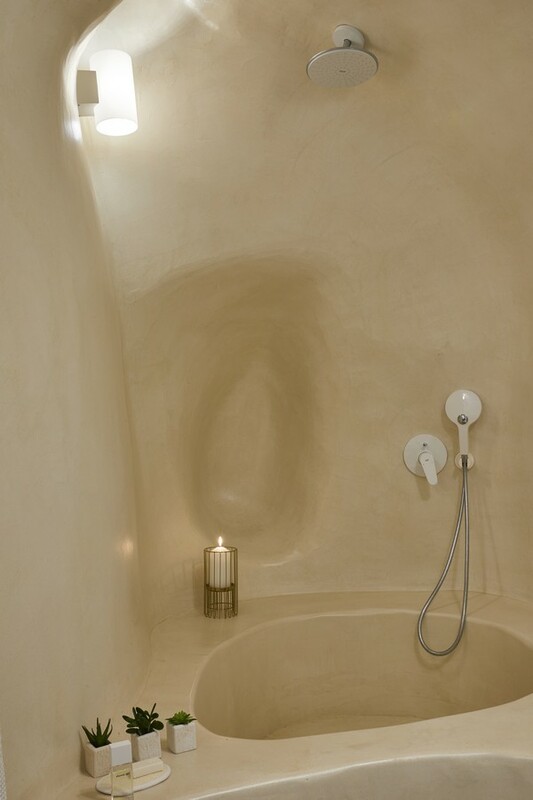 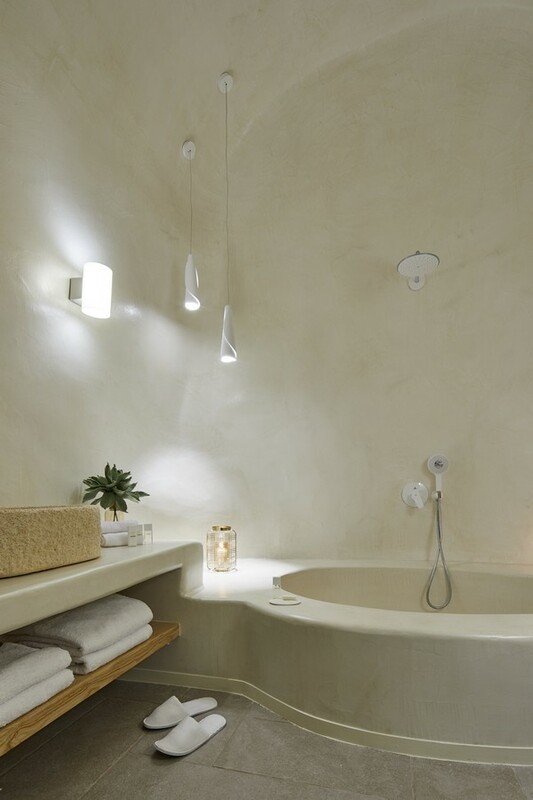 It combines the Cycladic architectural style with a modern touch. 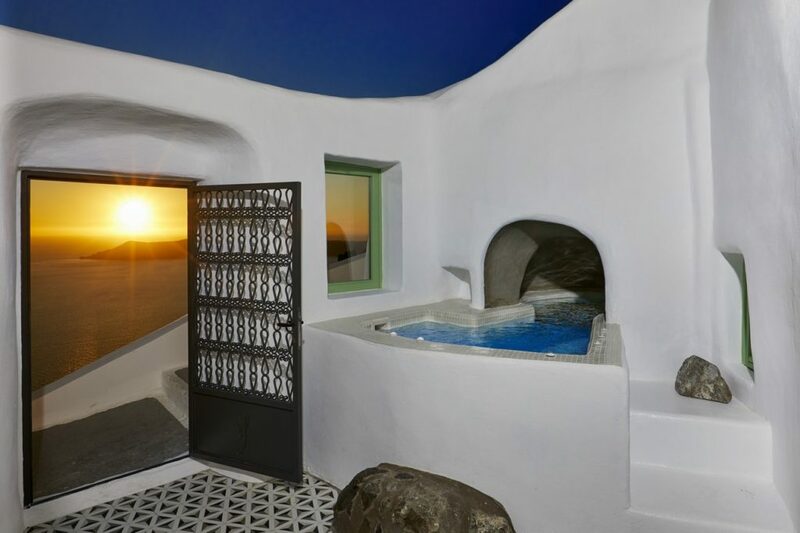 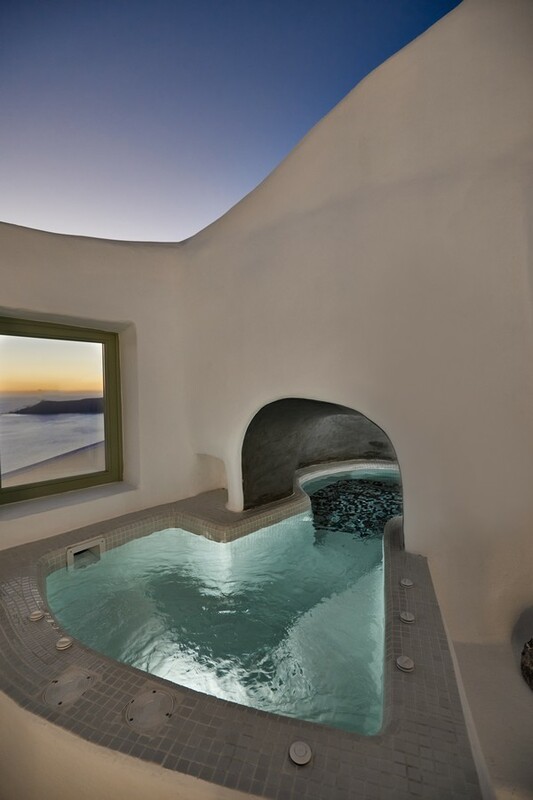 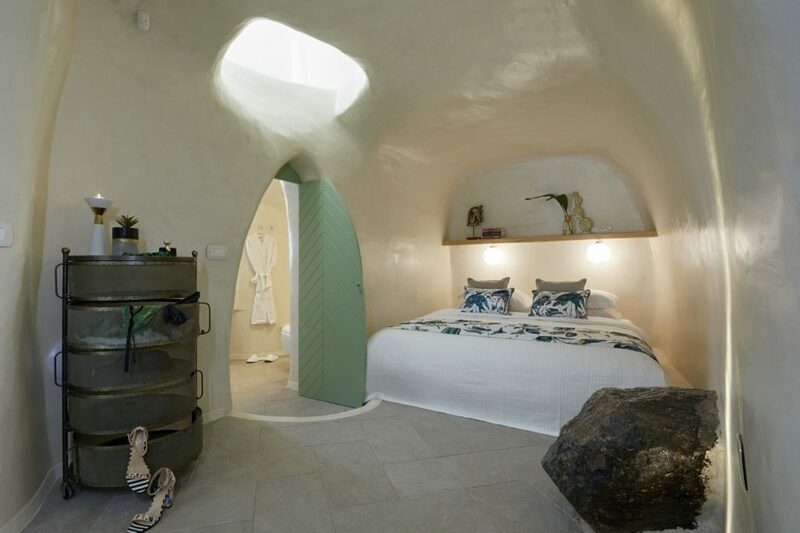 The cave houses – called “Yposkafa” in Greek – can be found in many of the traditional settlements of Santorini. 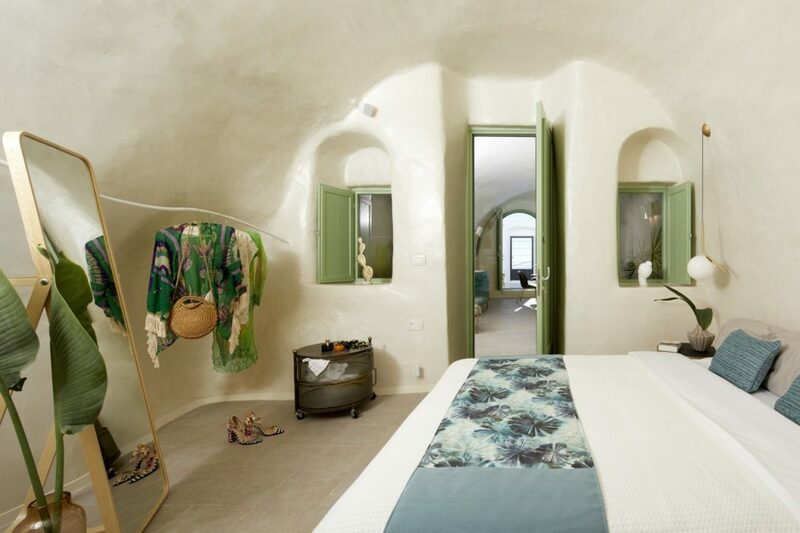 They are actual, pretty functional for the time, wineries / stables / houses which were built inside caves and are of great historical interest as it is a “living” proof of the earlier year’s local customs. 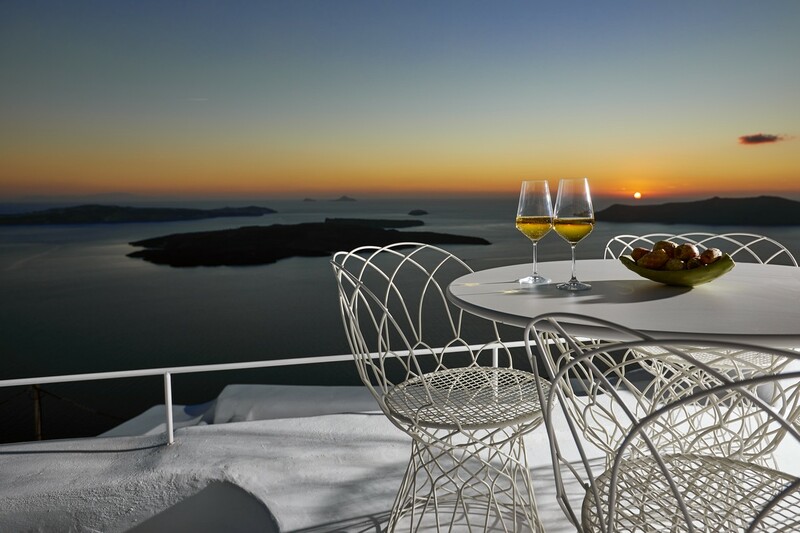 It is an excellent option for holidaymakers seeking comfortable and sophisticated accommodation. 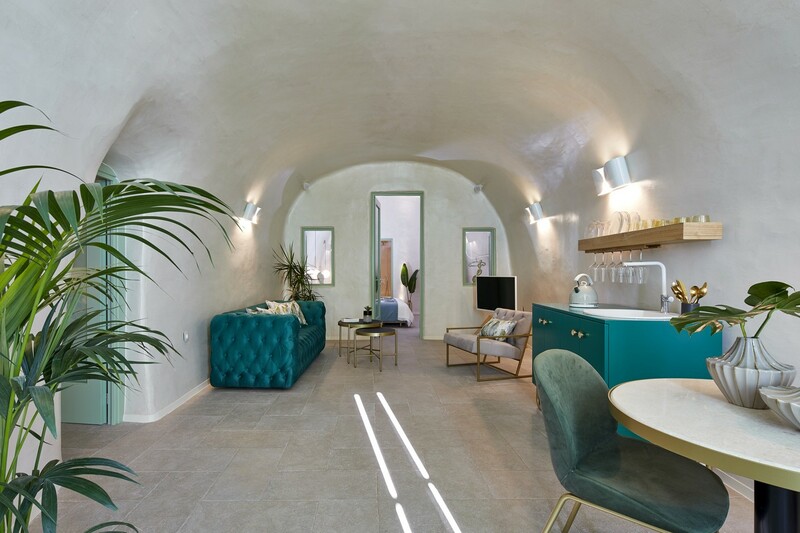 Its inside premises are spacious, enough and consist of 2 bedrooms, 2 private bathrooms, an ample living room, and a kitchenette whereas the outside, opens to a veranda where a private heated Jacuzzi is installed. 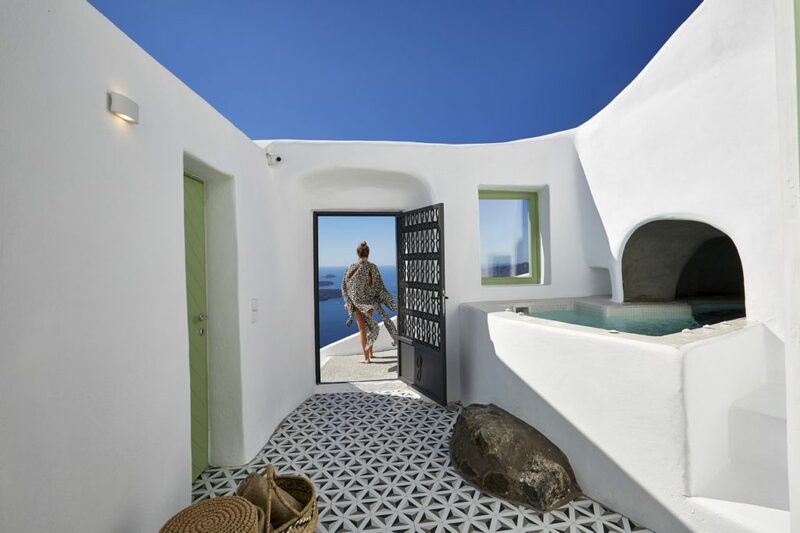 Guests can relax in the Jacuzzi and enjoy the majestic and unlimited views and sunsets over the breath-taking volcanic cliffs and the unparalleled beauty of the deep blue of the Aegean Sea. 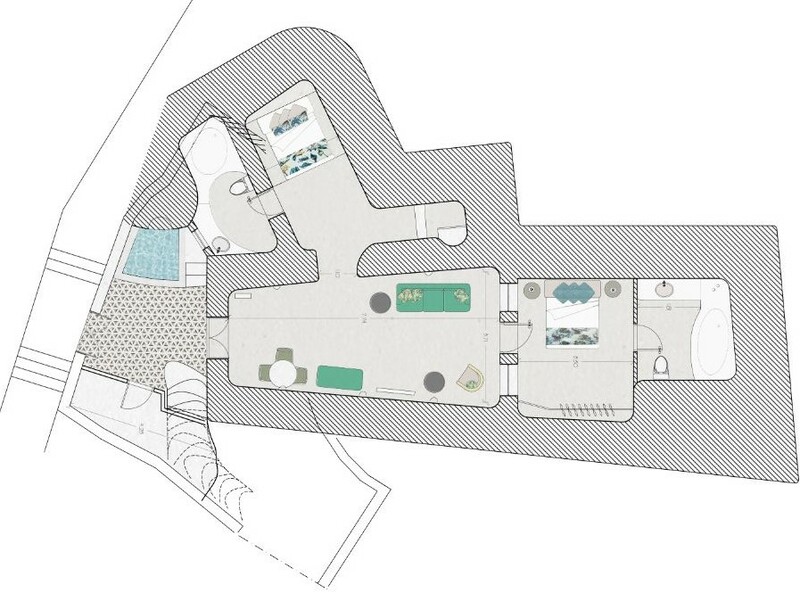 There is access to a second level, where an outdoor sitting area and sun loungers are to be found.